The collective mapped GPS data of untold thousands of running routes is put into a visual display in this experiment by the blog FlowingData. 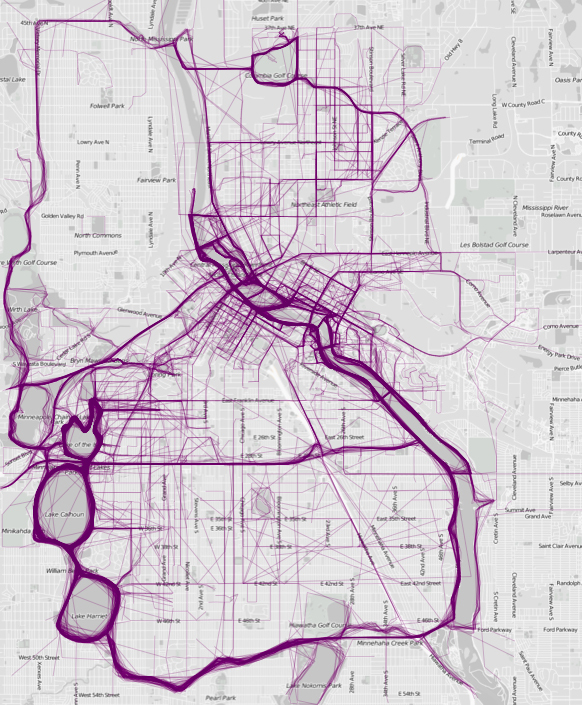 In the post “Where People Run” major American and international population areas are swished in purple lines that represent the most popular circuits for running in each of the cities. My main training route is the thick purple line looping Lake Calhoun in Minneapolis on the graphic below. It’s among the most popular in the city, according to this quick glance. All of the cities, 22 in total in the FlowingData post, feature routes culled via the RunKeeper app, which uses GPS to track training runs. 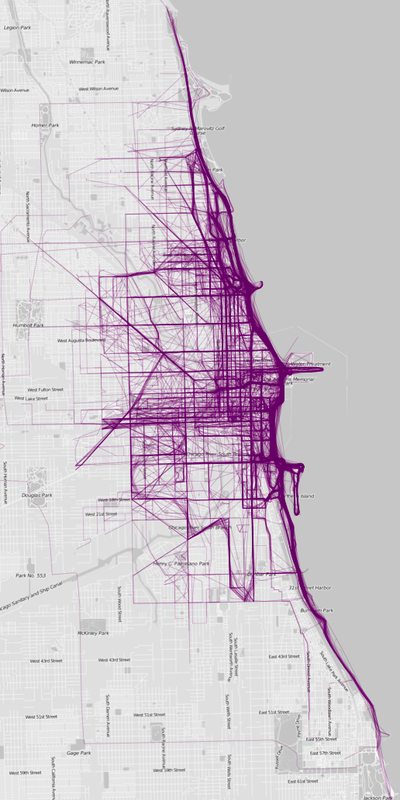 —See all the cities and running routes in this experiment at the blog FlowingData.